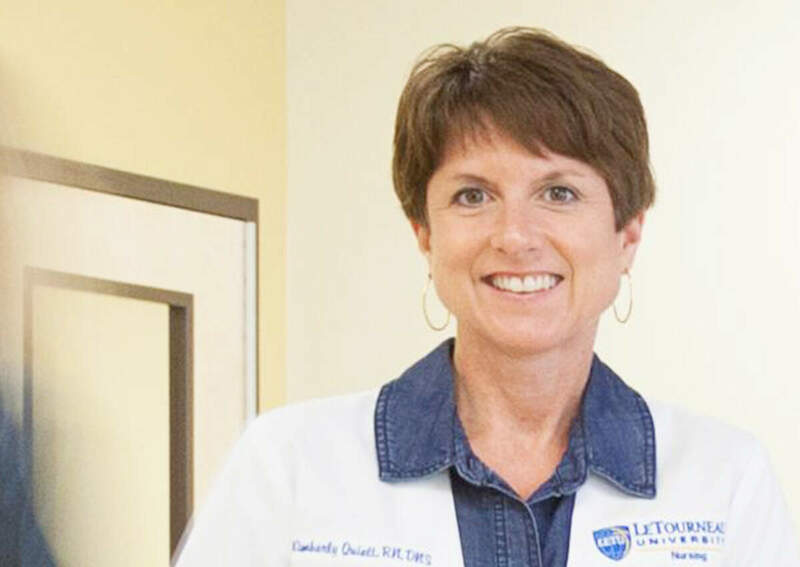 Kimberly Quiett is Dean and Associate Professor for the School of Nursing and has been in this role since the initial stages of the nursing program at LeTourneau University in 2013. In addition to having been in nursing education for 15 years, she has spent 16 years in clinical nursing practice. Much of my career has been spent caring for patients with cancer and their families. My very first “nursing” position was as a nurse extern after my first year of nursing school. In that position I was not allowed to choose my clinical area but was assigned the area of oncology. From that point I fell in love with building relationships with patients and their families. Oncology nursing is an area where nurses really get to know their patients and actually become part of each other’s stories. Over the years, I have worked in administration, as a Clinical Nurse Specialist, in charge nurse roles, and staff nursing roles, all in the clinical area of oncology and stem cell transplant. After completing my doctorate degree, I moved from the clinical arena to higher education. In positions in public and private universities, I have been given the opportunity to share my love for nursing with many students. I have had the opportunity to do research, write grants, create new nursing tracts for graduate students to specialize in oncology nursing, and continue to be a life-long learner. In coming to LeTourneau, God has given me the opportunity to begin this nursing school and to learn even more about allowing Him to equip me for the work He is calling me to do on a daily basis. Quiett, K. (2011). Nursing Theory: Utilization & Application [Review of the book Nursing Theory: Utilization & Application 4th edition, by M.R. Alligood]. Nursing Science Quarterly, 24 (4), 399-400. Sanford, J., Townsend- Rocchiccioli, J, Quiett, K., & Trimm, D. (2010). “I See My Mother's Face": Student Nurse Experiences Caring for Cancer Patients. European Journal of Oncology Nursing. 15 (1), 46-52. Doi 10.1016/j.ejon.2010.05.010. Quiett, K. (2006). A longitudinal quality of life analysis of patients during the acute phase of autologous peripheral blood stem cell transplant (Doctoral dissertation). Retrieved from ProQuest. (Publication No. 3228244).